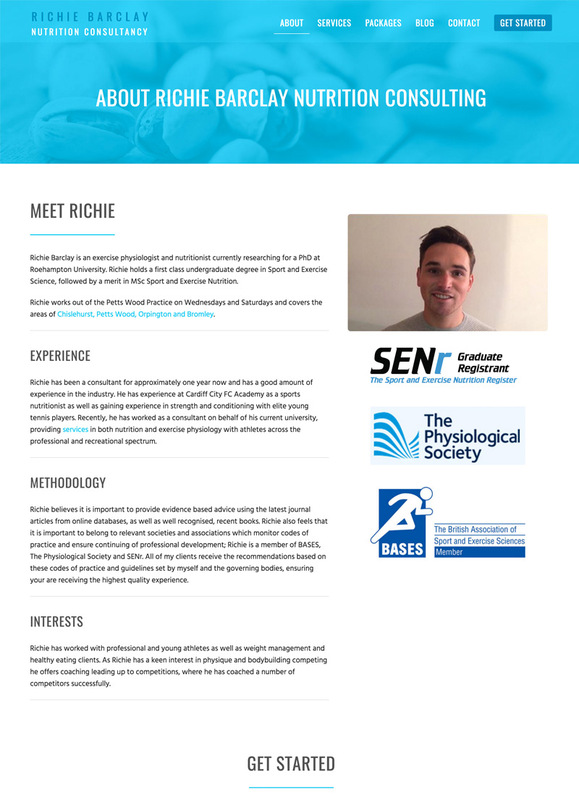 Richie Barclay is an exercise physiologist studying for a PhD as well as working as a nutrition consultant in Petts Wood. 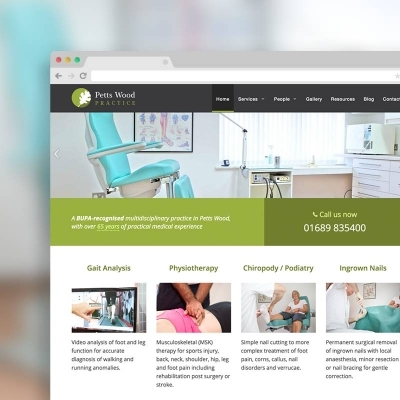 He asked us to help him re-design his old website for a more modern and professional look. 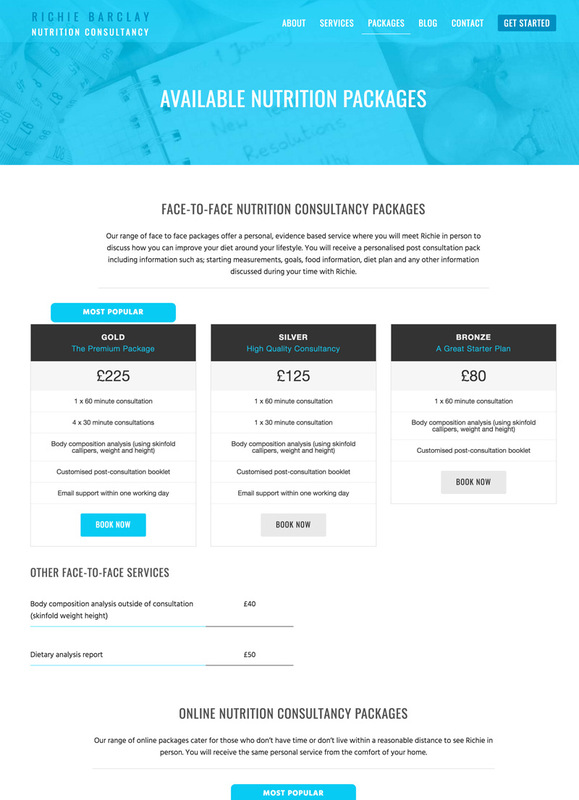 The website would also need to run on a content management system so Richie could easily update the packages and services he offers, as well as update his blog. 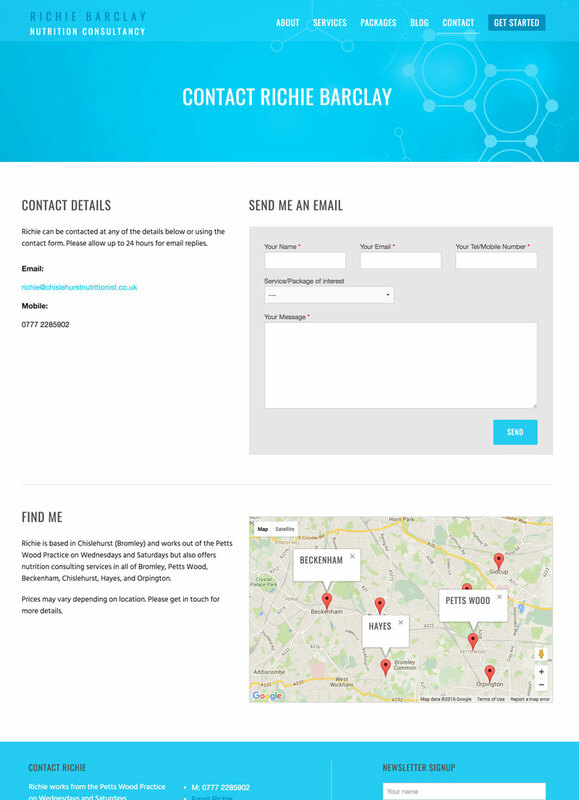 We created a clean, modern and responsive website that better promotes the services Richie offers in Chislehurst and the surrounding areas, and allows users to easily see what options they have for working with him. 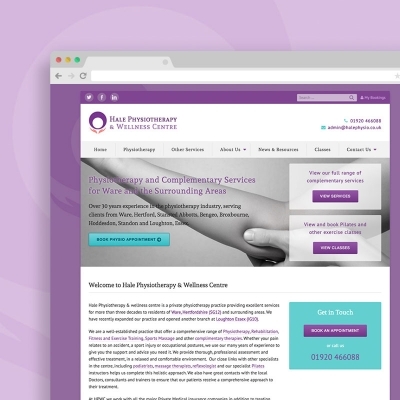 The website is designed with a bright, vibrant colour palette and focuses on Richie’s expertise and experience. 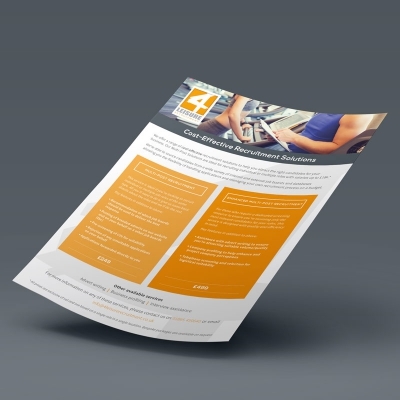 Naturally, it’s responsive and functions well on mobile devices, and has clear and obvious calls to action. Richie’s old website was built on top of a hosted wordpress.com instance. 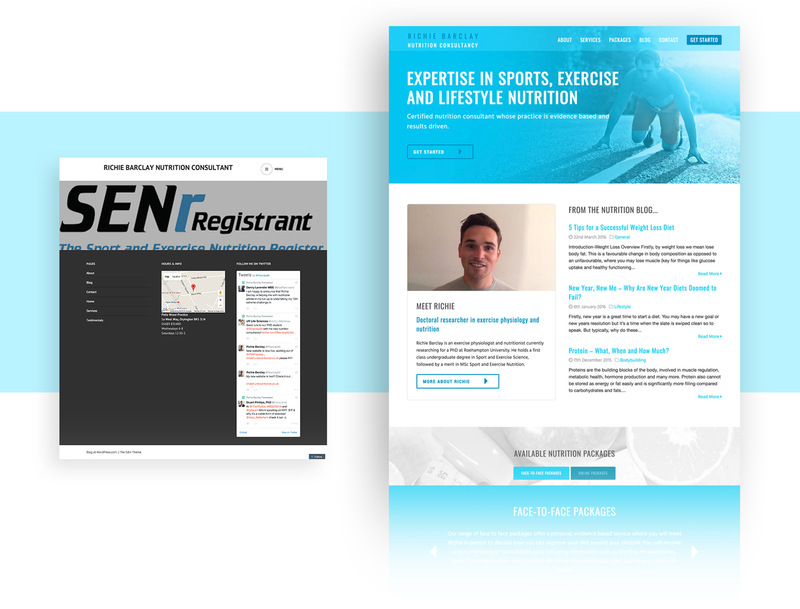 In order to gain the necessary functionality for the new site we migrated it to a self-hosted install, allowing us full access and control over customisation. New features include a packages slider, dynamic contact forms and integrated Google map with custom location markers.